Zagami’s latest book has been forced out of commerce by the O.T.O. 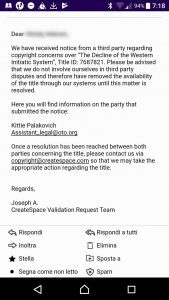 Amazon.com , whose policies have been put into question recently, has unilaterally stopped the publication of this book, following an alleged copyright infringement claim by Kittie Pakalovich, the legal assistant of the Ordo Templi Orientis (Assistant_legal@oto.org), the infamous Illuminati Satanic sect that is obviously upset for all the confidential documents and secrets I am revealing. 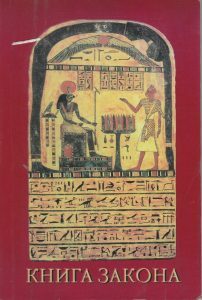 The price of this now extremely rare book will rise for sure in the coming weeks and months, but what gives the Ordo Templi Orientis the right to force this unjustified censorship by CreateSpace and Amazon? 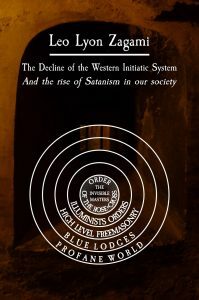 Apparently the Ordo Templi Orientis believes that their leader is the repository not only of their Order’s magical power, but also has a supposed claim on various copyrights and royalties, especially of Aleister Crowley’s work. Amazon’s crackdown on conservative content uses this ridiculous claim to enforce their censorship on my book. Well, no wonder the “Caliphate” O.T.O., the first Grand Lodge of the O.T.O. in the world, was originally founded in the city of Berkley in California in 1977, with the full support of many liberal cockroaches present in the US Intelligence community. These willing agents of the New World Order helped and supported the creation of this sect for the sole purpose of controlling this highly dangerous Illuminati cult, and for receiving tax-exempt status as a religious association, that can of course benefit from an alleged claim on Crowley copyrights worldwide. The Order has since launched a thousand legal battles around the world to control the lucrative publishing rights related to Aleister Crowley, and its copyright. They even managed to receive exclusivity on the name O.T.O. in English speaking countries, which seems rather strange, if you think that Aleister Crowley was never the founder of this order. These are the only details that cannot be revealed by regular Freemasons to the outside world, but often Freemasons, when asked about their membership by a non-Mason, especially in North America, merely assure you that “Masonry is a Christian organization based on the Bible.” They further assure you that Masonry is in accordance with God’s laws. But is this really true? Do they have the ultimate truth? Why are they so secretive? Well, I will try to answer these three questions before you waste years attacking the wrong enemy on the internet, or joining the wrong form of Freeemasonry in search of the Holy Grail, or even worse, being initiated into one of the many Illuminati cults that reclute within Freemasonry, like the Ordo Templi Orientis (known with the acronym O.T.O.). 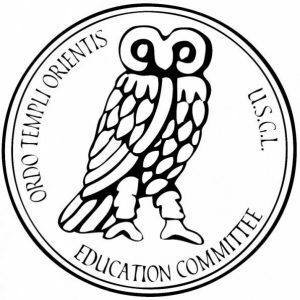 Seal of the “EDUCATION COMMITTEE” of the US Grand Lodge of the O.T.O. This is a dangerous error, even the more erudite Freemason seems to make these days, often ignoring the possible consequences of such actions. This happened for example, to the late Jeva Singh-Anand, the translator of The Secret School of Wisdom – The Authentic Rituals and Doctrines of the Illuminati, published by Lewis Masonic only a couple of years ago. Jeva enthusiastically joined the O.T.O. wishing to learn more about their Illuminati secrets, and their connections, (if any), to Weishaupt’s Illuminati. He went around the US giving speeches in their lodges, even helping them form a “Education Committee” within their US Grand Lodge, using none other than Weishaupt’s, “Owl of Wisdom” Minerval degree symbology. The “Bird of Minerva” has been a symbol for the goddess of wisdom (Athena/Minerva) for thousands of years. Hegel used it, and the Journal of the Hegel Society of America employs the symbol, and so does the Bohemian Club. 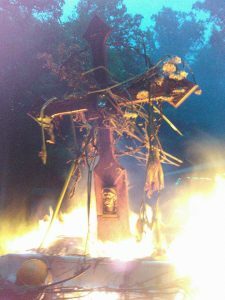 In the Cremation of Care ceremony, ritualized at the Bohemian Grove, we hear the “Priest” intone: “O thou, great symbol of all mortal wisdom, Owl of Bohemia, we do beseech thee, grant us thy counsel.” However, Jeva was probably thinking he was immune to all the evil black magic present in the dark side of the Illuminati, but unfortunately he ended up dead in his basement after committing suicide in October 2015. His wife, a practicing witch and O.T.O. member, was said by some, to be partly responsible for his dramatic ending, but we might never know the truth about this sad episode connected once again, to the dangerous para-Masonic magical order. The US Ordo Templi Orientis (Caliphate), is also very active in Moscow and the rest of the Russian Federation. The Russian O.T.O. even published a limited edition of The Book of the Law translated for the first time in the Russian language. Confidentiality Membership Information. Membership of any individual in the O.T.O. shall not be made public (those who have not signed as Preliminary Pledge form) except upon the informed consent of the member. The O.T.O. membership and mailing list are only released to those O.T.O. officers who have a specific need for such information. However, a public claim to or denial of membership by an individual is deemed consent for the O.T.O. to publicly discuss the membership or non membership of that individual to the same extent as the individual public claim or denial. In general, any degree held by a member should only be revealed to other members who hold a degree in the same Triad. P.I.s may reveal their rank to Minerval, and VII°s may reveal their rank to V°s. Knight of the East and West. A certain amount of degree confidentiality may be forfeited by those who assume leadership position; for example, most Minervals know Lodge Masters must be at least V° and that persons acting as Sovereign Grand Inspectors General must be at least VII°. Note that use of electronic mail to provide information to International Headquarters should be done in such way that privacy of the members is assured. An individual member should not be fully identified as to name, degree and address in electronic mail without the permission of that individual member. Electronic mail is not a fully private medium of comunication. Confidential Meetings. The proceeding and minutes of the official meetings of all governing bodies of the O.T.O. are confidential unless specifically released by the governing body concerned or by the Secretary General. Perfomance of O.T.O. initiation rituals are strictly confidential to the initiates of the degree being worked. Only active O.T.O. members on good report who have been duly initiated into a particular degree entitled to the privilege of attending initiation rituals for that degree. Others shall not attend or be permittted to attend or be permitted to attend initiations or view ritual scripts or temple arrangements of that degree, and not be unnecessarily informed regarding anything pertaining thereto, including the oath. Confidential Documents. O.T.O. considers its initiation rituals and the official instructional documents of its degrees, particularly those of the VII°, VIII°, IX° and X°, to be confidential to the initiates of the degree in question. O.T.O. ritual script shall be kept in the possession of Chartered Initiators, except that they may be temporarily lent to O.T.O. members holding at least the degree in question for the purposes of study, rehearsal and working of initations. These are not to be copied. Any published editions of the O.T.O. 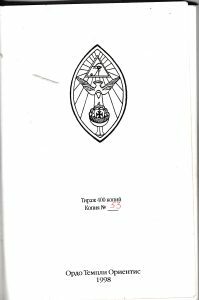 initiation rituals, such as the edition by Francis King, are to be treated as confidential documents by O.T.O. members, regardless of their accuracy or lack thereof. It is not appropriate for O.T.O. members to sell or distribute copies of such documents, without the express permission of International Headquarters. Should an O.T.O. member find a copy for sale to the public, it would be appropriate for the member to purchase it; however, International Headquarters recommends that candidates for intiation into a degree of O.T.O. wait until after they have been initiated into that degree before reading the ritual of that degree. The official instructional documents of the VII°, VIII°, IX° and X° are to be treated as strictly confidential to the members of those degrees, even though versions of some of these documents have been published. These documents, even published versions, should not be sold, circulated or distributed by O.T.O. members without the express permission of International Headquarters. If you are unsure whether a document you possess is confidential, write to the Secretary General or Treasurer General for verification. Should any O.T.O. initiation ritual or confidential O.T.O. document be found posted on an electronic bulletin board system (BBS) by an O.T.O. member, the member should request that the System Operator should be informed that the documents is confidential and its posting constitutes a violation of copyright laws. The member whould also report the incident to International Headquarters as soon as possible. Well, it seems I have just violated probably several O.T.O. rules, and regulations by showing you these secret instructions on their supposed confidentiality, but as an ex-member, and someone who believes this to be one of the most dangerous groups operating in the decline of the Western Initatic world, I could care less. In fact, by showing you this, I am not only helping those in the lower level of the O.T.O. pyramid to understand the level of manipulation and secrecy of their controllers, but I am also showing the world, the reasons why they seem to always be so successful in keeping secret their membership, their temples and their rituals, even after so many scandals and so much exposure both in the alternative, and mainstream media. I would like to now address something that has recently come to my attention, in regards to the O.T.O.’s public exposure, as it’s not always negative, as they seem supported by the most unlikely sources at times! And finally, here is the Secret Instruction of the Ninth Degree of the Ordo Templi Orientis, found in a rare book entitled, The Secret Rituals of the O.T.O. published in 1973 by Francis King, a British occult writer and editor, who was a member of Dione Fortune’s Society of the Inner Light, one of a few positive offshoots of the Hermetic Order of the Golden Dawn. 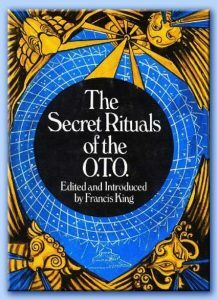 King’s publication of The Secret Rituals of the O.T.O. infuriated the Past Grand Master of the first O.T.O Grand Lodge, Grady McMurtry, because the fraternity’s secrets were finally being exposed. In an O.T.O newsletter, McMurtry stated their policy regarding the publication of this material: “We do not endorse the publication of this material because the so-called 9th degree section does not include the paper (titled IX degree Emblems and Modes of Use) which Aleister Crowley handed me at 93 Jermyn St circa 1943-44 e.v. without which the whole thing is nonsense.” However, Francis King is thought to have been given the rest of the rituals (sans the missing one), by another top figure in the Illuminati called Gerald Yorke. Now that interest is growing around the subject and the original hardcover copies are being sold on Amazon for $250.00, a revised Second Edition is said to be finally scheduled sometime after December 2017, and will apparently contain all sorts of fascinating extra little bits and pieces, as well as the Emblems used by Crowley, and Francis King’s original 6 chapters dealing with the history of the O.T.O. A section that seems to have been expanded into 12 (possibly 13) chapters. Of course the modern emanation of the Ordo Templi Orientis is not happy with this new literary project, and might try to stop it. In the meantime, enjoy this set of instructions for the creation of the homunculus, still considered one of the most important secrets of the Illuminati. The homunculus is a living being in form resembling man, and possessing those qualities of man which distinguish him from beasts, namely intellect and power of speech, but neither begotten and born after the manner of human generation, nor inhabited by a human soul. Thus, supposing that the re-incarnating Ego enters the fetus at the third month of gestation, it would not serve to remove such fetus from the mother, and cause it to live; for it is already human. But a fetus of two months might become homunculus. A human being can only become homunculus if obsessed by a demon to such an extent that the human soul is irrevocably expelled to the same degree as in death, and freed utterly so that it seeks a new tenement, and is cut off absolutely from the old. But even this, rare as it must be except in lunacy, involves an extension of the natural meaning of the term homunculus. In the third chapter we discuss Our method of producing that which, if not a true homunculus, at least serves all proper purposes thereunto pertinent. Second Chapter CAPITULUM SECUNDUM. The classical method of making the homunculus is to take the fertilized ova of a woman and to reproduce as closely as may be, without the uterus, the normal conditions of gestation therein. For: in the case of ectopic gestation, it is clearly possible for the ovum to develop for a considerable period; and a child of 41⁄2 months weighing nine ounces, has been known to live for over an hour after delivery. These considerations encourage us. Life is indefinitely adaptable, and life originally appeared in a planet bacteriologically sterilized by temperatures of many thousands of degrees Centigrade. There is therefore every reason to hope that, starting as we do with the proper First Matter, we may be able to devise conditions of its growth in a ‘culture’, just as we have done in the case of the simpler organisms. As it is written ‘With God all things are possible’; and is not our Motto ‘Deus est Homo’? The White Tincture of the Alchemists was in this connection a replica of the Liqor Amnii, and their Red Tincture a substitute for Blood. Certain truly magical aids to the physiological experiments indicated above have always been held worthy. The Adept must, however, be left to devise these, as in so small a treatise we have no place for a subject so starry vast as this. Before introducing our own method of making the homunculus, let us refer to (A) the theory of Incarnation and (B) the method of Evocation invented by us in An VI Sol in Aries (April 1910 E.V.). For about three months the fetus is empty of any soul. It then attracts an Ego of such a nature as (a) its own Karma i.e. naturae and tendency, and (b) the Karma of the Ego, combine to make viable. If a suitable combination is not found, the result is either miscarriage, still-birth or the birth of an idiot. In the last case the fetus has been obsessed by some dumb non-human spirit, or by some human spirit of exceptional Karma. By Karma We mean always nature and tendency, and no more, although we use these words in a large sense to include all causes moral as well as physical. But we include not any conceptions of ‘Justice’ and the like in these. If this be accepted, then clearly it is possible that a magician might find means (a) to bar the gate against any Human Ego, and (b) to cause the Incarnation of some non-human being, such as an elemental or planetary spirit, of a nature fitted to some desired end. Thus one eloquent, from an incarnation of Tiriel, or one bold in war, from the indwelling of Graphiel. And these will be his chief difficulties (a) that Man (even when discarnate) is so spiritually powerful, that to bar him from his urgent need is a task of colossal awe; and (b) it is necessary to choose a spirit suitable to the fetus. Thus if the babe that is to be were by reason of physical heredity sluggish, melancholy and weak, it would be but nugatory to invoke into it a spirit of Nakhiel or Raphael or Haniel or Anael. The human soul is all but inexpugnable; yet We have succeeded in the temporary expulsion of a weak and wandering soul, and its replacement. For example, We once supplanted the soul of a Caliban- creature, a certain deformed and filthy abortion without moral character, named Victor Neuburg, by a soul of Isis, by a soul of Mars and by a soul of Jupiter in turn, so that this quasi-human shape, not being a poet, did yet write verses goodly and great in praise of Isis; and not being a prophet, did yet foretell most accurately the wars which even now devastate the earth; and not being generous or wealthy did yet for a season support many dependants on his bounty. And this we did with no elaboration of thought, no Persian apparatus, no weariness or trouble at all. Now then do We mark down the Means devised by Us Baphomet for the making of the homunculus. Take a suitable woman willing to aid thee in this Work. Explain to her fully the precautions to be taken and the manner of life necessary. Let her horoscope be, if possible, suited to the nature of the homunculus proposed; as, to have an incarnate Spirit of Benevolence let Jupiter be rising in Pisces with good aspects of Sol, Venus, and Luna; and with no notable contrary dispositions; or so far as may be possible. Take now a man suitable; if convenient, thyself or some other Brother Initiate of the Gnosis; and so far as may be, let his horoscope also harmonize with the nature of the work. Let the man and woman copulate continuously (but especially at times astrologically favourable to thy working) and that in a ceremonial manner in a prepared temple, whose particular arrangement and decoration is also suitable to thy work. And let them will ardently and constantly the success of thy work denying all other desires. Thus proceed until impregnation results. Now let the woman be withdrawn and carried away to a place prepared. And this place should be a great desert; for in such do rarely wander any human souls seeking incarnation. Further let a great circle be drawn and consecrated to the sphere of the work; and let banishing formulae of the Sephiroth, and especially of Kether, be done often, even unto five or seven times on every day. Outside which great circle let the woman never go. Let the mind of the woman be strengthened to resist all impression, except of the spirit desired. Let the incense of this spirit be burnt continually; let his colours, and his only, be displayed; and let his shapes, and his only, appear so far as may be in all things. Further let him be most earnestly and continually invoked in a temple duly dedicated, the woman being placed in a great triangle, while thou from the circle dost perform daily the proper form of Evocation to Material Appearance. And let this be done twice every day, once while she is awake and once while she is asleep. And let the quickening be a feast of the Reception of the Spirit. Henceforth ye may omit the Banishings. And during the rest of the Pregnancy let there be the Charge to the Spirit (so that the whole period of all this work is as it were an expansion in terms of life of the Art-formula of Evocation) in this manner. Let the woman be constantly educated by words and by books and by pictures of a nature consonant, so that all causes may work together for the defence and sustenance of the Spirit, and for its true development. And let the delivery of the woman be retarded or advanced so far as possible to secure a rising sign proper to such a child. The child being born must be dedicated, purified and consecrated, according to the formulae of the planet, element, or sign, of which it is the Incarnation. Now then thou hast a being of perfect human form, with all powers and privileges of humanity, but with the essence of a particular chosen force, and with all the knowledge and might of its sphere; and this being is thy creation and dependent; to it thou art Sole God and Lord, and it must serve thee. Therefore the whole of all that part of Nature whereunto it belongs is thy dominion; and thou art Magister Octinomous. Be wary, Brother Adept, and choose well thine object, and spare not pain and labour in the Beginning of thy Operation; for to have corn of so subtle a seed is a great thing once; to achieve it twice were the mark of a primal energy so marvellous, that We doubt whether there be one man born in ten times ten thousand years that hath such wonder-power. Now the Father of All prosper ye, my Brethren that dare lay hold upon the Phallus of the All-One, and call forth its streams to irrigate your fields. And may the spirit of Prometheus hearken, and the Spirit of Alcides aid, your Work. See. Cornelius, Jerry (2005). In the name of the Beast. California: Red Flame. p. 104. Francis X. King , The Secret Rituals of the O.T.O, ( London: C.W. Daniel Company, 1973), pp. 231–239.